I just noticed that UA has a dedicated customer service desk at what was gate C28. Is this relatively new? 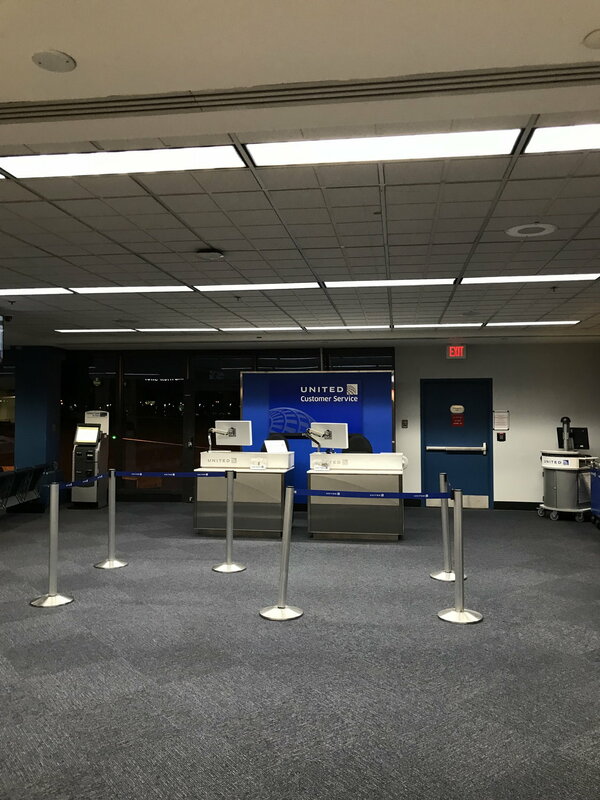 The UA gate areas at CLE actually looked pretty good, especially in comparison with the dump that is IAD and even ORD, which is looking kind of worn out. It has been there in a couple forms since the gate areas were spruced up/redeveloped around a year ago or slightly more -- in its original incarnation the back wall had the standard gate back wall (with the large-screen monitor built in but displaying "Customer Service" rather than flight info) and a single gate podium position -- sometime after that it gained the second podium position and the back wall pictured above. Staffing is somewhat sporadic. Incidentally, Jon G the CLE metro GM and a great guy is going (or maybe has already gone) to ATW at EWR. Seems that he was both well liked by everyone at CLE and made a positive impact on the operation of the station...Hoping it's kept up for CLE by his successor and that he can make a similar impact on EWR's ops.